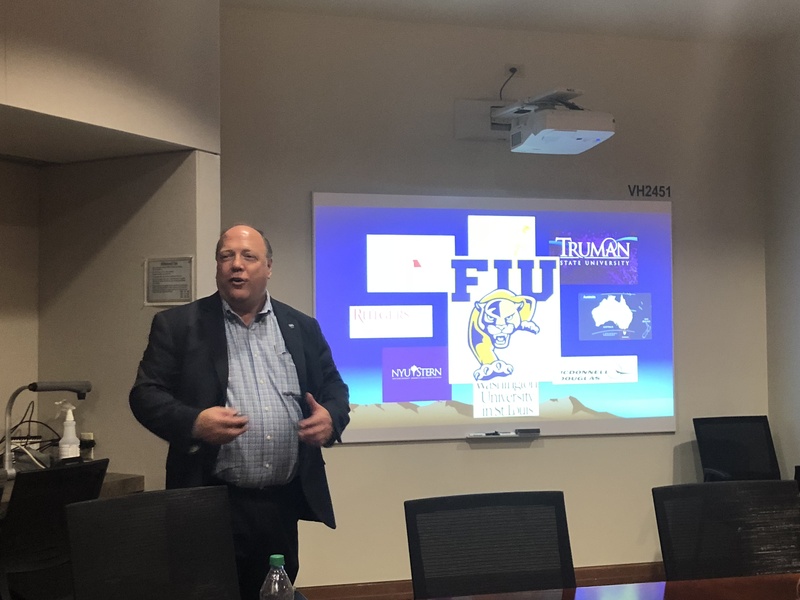 Dr. Bill Newburry (’87), Chair of the Department of International Business and the Ryder Eminent Scholar of Global Business at Florida International University spoke to students in the International Financial Management class on Friday, November 30. He talked with the students about information collected from interviews with executives of Chinese multinational companies. The information will be included in a forthcoming book co-authored by Bill and other international business scholars. 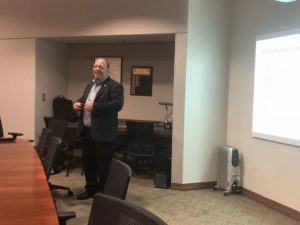 He also presented this research to the School of Business faculty. Bill’s research focuses on how multinational corporations manage and relate to subsidiaries and other local stakeholders when they invest in foreign countries, with a particular emphasis on reputation issues. Bill recently served as President/Chapter Chair of the Academy of International Business Latin America (AIB-LAT) Chapter (2012-2018). He also co-authored Emerging Market Multinationals: Managing Operational Challenges for Sustained International Growth (2016, Cambridge University Press), and has co-edited two additional books. He is Series Editor for Research in Global Strategic Management and a Non-Resident Senior Research Fellow at the China Europe International Business School Center for Emerging Market Studies. He previously chaired the Global Strategy Interest Group of the Strategic Management Society. Bill has published 40+ articles in top-tier journals, along with another 20 chapters in edited books. He serves on the Senior Advisory Board of the Review of International Business and Strategy, and on the editorial boards of the Journal of International Business Studies, Journal of World Business, Journal of Management Studies, Global Strategy Journal, Thunderbird International Business Review, Cross Cultural and Strategic Management, and Canadian Journal of Administrative Sciences. Before joining FIU, Bill was an Assistant Professor at Rutgers Business School. He earned his PhD in 2000 from New York University, with co-majors in international business and management. Prior to his academic career, he worked six years in the F-15 Contracts and Pricing Department at McDonnell Douglas Corporation.